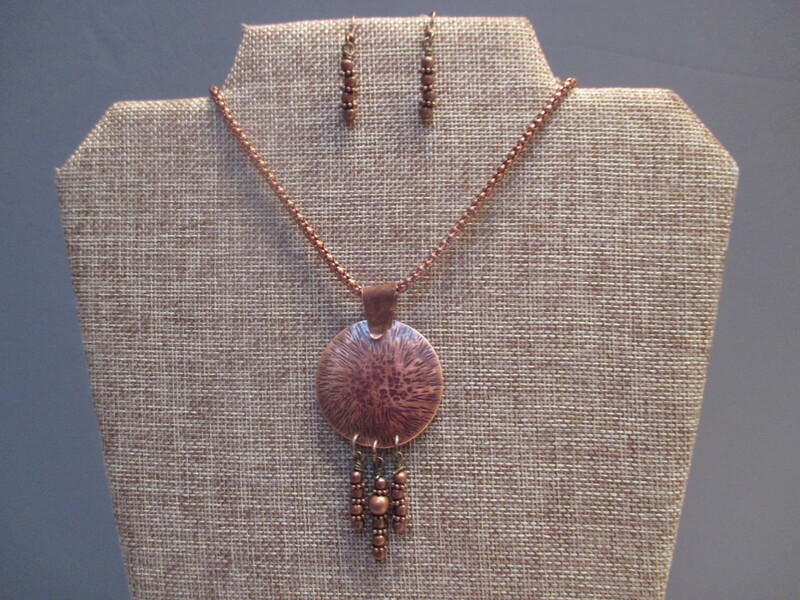 This necklace has a pendant of copper that has been hammered in 2 different textures and then "burnt" to give it the dark and lighter colors in it. The pendant has a handmade bail of copper patina. It measures about 3" x 1 1/2" and has 3 separate beaded dangles. The chain is a 20" antiqued copper chain. The matching beaded earrings are included. They are about 3/4" long.